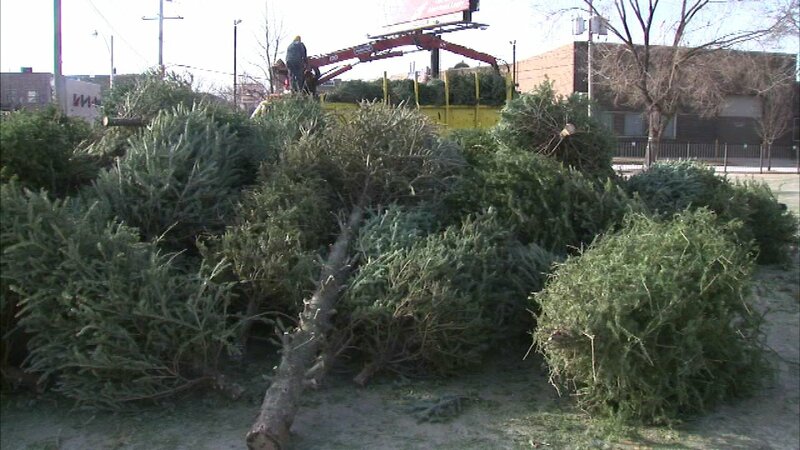 CHICAGO (WLS) -- Starting next week, people in Chicago can recycle their Christmas trees. Live trees can be dropped off at 24 park district locations starting on Tuesday through January 21. All the decorations and tinsel have to be off and don't put the tree in a plastic bag. "Dropping off holiday trees for recycling is a worthy act by residents as each recycled tree benefits our environment. Each year this program helps divert waste from landfills and provides residents with reusable mulch," said Commissioner Charles L. Williams, Chicago Department of Streets and Sanitation. Last year, the program mulched more than 19,000 trees. Free mulch is available at select locations. For more information, visit www.cityofchicago.org/dss.